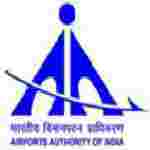 AAI recruitment 2018 notification has been released on official website www.aai.aero for the recruitment of 69 (sixty nine) Junior Assistant vacancies. Job seekers should apply from 16th December 2017 to 15th January 2018. Educational Qualification: 10th pass with 3 years Diploma in Mechanical/ Automobile/ Fire with minimum 50% marks or 12th pass with 50% marks. Age Limit: 18 years to 30 years as on 31.12.2017. Interested and eligible aspirants may apply online through official website of AAI www.aai.aero from 16.12.2017 to 15.01.2018.